Shogo Yamashita, Xinlei Zhang, Jun Rekimoto, AquaCAVE: Augmented Swimming Environment with Immersive Surround-Screen Virtual Reality, ACM UIST ’16 Adjunct (Poster) [Best Poster Award]. Jun Rekimoto, ACM UIST 2013 Lasting Impact Award, 2013. Yu Ukai, Jun Rekimoto, “Swimoid: Interacting with an Underwater Buddy Robot”, Best Late Breaking Report Nomination, 8th ACM/IEEE International Conference on Human-Robot Interaction, 2013. Jun Rekimoto “Future and Alternative Nows” pp.626-639, in Designing Interactions, Bill Moggridge, MIT Press, 2006. Jun Rekimoto, Living AR, SingularityU Japan Summit, 2017. Jun Rekimoto, Internet of Abilities: Human Augmentation, and beyond IEEE 3DUI 2017. Jun Rekimoto, Human Augmentation and the Age of Internet-of-Abilities, keynote talk at The ACM Symposium on Virtual Reality Software and Technology (ACM VRST 2016), Nov 2-4, 2016, Munich, Germany. Jun Rekimoto, Technologies for Augmenting Humans: from Human-Computer Interaction to Human-Computer Integration, Keynote at Bilateral DFG-Symposium on Interaction with Smart Artifacts, Tokyo, March 7th, 2011. Jun Rekimoto “Cybernetic Human: Augmenting Real, Augmenting Humans”, Keynote talk at International Society on Virtual Systems and Multimedia (VSMM2010), Seoul, Korea. Jun Rekimoto “Cybernetic Human: From human computer interaction to human computer integration”, 2010 China Symposium on Human Computer Interaction, Beijing, China 2010. 暦本純一, “Cybernetic Human: 現実の拡張、人間の拡張”, 日本画像学会理事会特別講演、2010.3. Jun Rekimoto, “Sensonomy: Large Scale Sensing and Integration of Real and Virtual”, in Proc. of MobileHCI 2009. Keynote, 2009, Bonn. Jun Rekimoto, “Sensonomy: Large-Scale Integration of Real and Digital”, ID-KAIST 2009 Sprint Seminar “CATCH THE FUTURE”, 2009, Korea. Jun Rekimoto, “From Folksonomy to Sensonomy: Convergence of Real World Activities and Online Space”, International Symposium on Applications and the Internet (SAINT2007) keynote, 2007. Michinari Kono, Takumi Takahashi, Hiromi Nakamura, Takashi Miyaki, and Jun Rekimoto. 2018. Design Guideline for Developing Safe Systems that Apply Electricity to the Human Body. ACM Trans. Comput.-Hum. Interact. 25, 3, Article 19 (June 2018), 36 pages. 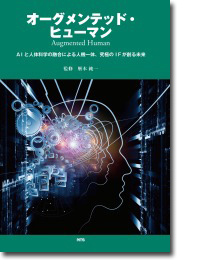 Nigel Daves, Marc Langheinrich, Pattie Maes, Jun Rekimoto, Augmenting Humans, IEEE Pervasive Computing, vol.17, no.02, 2018. 山下 聖悟, 諏訪 俊一, 味八木 崇, 暦本 純一, 水泳体験を向上させる水中没入型バーチャルリアリティ環境: AquaCAVEの設計と実装, 日本ソフトウェア科学会 コンピュータソフトウェア. Yoichi Ochiai, Takayuki Hoshi, Jun Rekimoto, “Pixie dust: graphics generated by levitated and animated objects in computational acoustic-potential field” Transactions on Graphics (TOG), vol.33, no.4 ,2014. 石黒祥生，暦本純一, Peripheral Vision Annotation: 拡張現実感環境のための視線計測による周辺視野領域情報提示手法，情報処理学会論文誌（ジャーナル），Vol. 53，No. 4, pp.1328 – 1337 2012. 末田航、味八木崇、暦本純一, 実世界集合知による利用者の認知地図の可視化とモバイルインタラクションへの適用, 情報処理学会論文誌（ジャーナル） Vol.52 No.4, 2011. 暦本純一, サイバネティックヒューマン‐人間の拡張、人間の再デザイン Keio SFC Journal, vol.10, no.1, pp.7-16, 2010. 玉城絵美，味八木崇，暦本純一，インタラクションシステムのための高精度な 3 次元ハンドジェスチャ認識手法，情報処理学会論文誌, Vol. 5, No. 2, pp. 229-239, 2010. Takahashi, Takumi, Shiro Keisuke, Akira Matsuda, Ryo Komiyama, Hayato Nishioka, Kazunori Hori, Yoshio Ishiguro, Takashi, Miyaki, Jun Rekimoto, Augmented jump: a backpack multirotor system for jumping ability augmentation, ACM International Symposium on Wearable Computers 2018. 丸山 英梨子，暦本 純一, CompoundDome: スクリーンを部分的に透過することにより現実世界とインタラクションを可能にする装着型ドーム装置, 日本ソフトウェア科学会インタラクティブシステムとソフトウェアに関する研究会 WISS2018. 松田 暁, 加藤 淳, 尾形 正泰, 濱崎 雅弘, 後藤 真孝, 暦本 純一, 同期的共同作業における空間的指示を補助するカーソル拡張型コミュニケーション手法, 日本ソフトウェア科学会インタラクティブシステムとソフトウェアに関する研究会 WISS2018 (Demo). Jun Rekimoto, Keishiro Uragaki, Kenjiro Yamada, Behind-the-mask: a face-through head-mounted display, AVI 2018. 木村 直紀, 暦本純一. “没入感拡張システムのためのpix2pixを用いた周辺視野映像生成”, 日本ソフトウェア科学会インタラクティブシステムとソフトウェアに関する研究会 WISS2017. Xinlei Zhang, Takashi Miyaki, Jun Rekimoto, WithYou: An Interactive Shadowing Coach with Speech Recognition, UIST ’16 Adjunct (Demo). Akira Matsuda, Jun Rekimoto, ScalableBody: A Telepresence Robot Supporting Socially Acceptable Interactions and Human Augmentation Through Vertical Actuation, UIST ’16 Adjunct (Demo). Shogo Yamashita, Xinlei Zhang and Jun Rekimoto, Projection-based Immersive Pool for Advanced Swimming Experience, AUI ’16. Akira Matsuda and Jun Rekimoto, ScalableBody : A Telepresence Robot Supporting Socially Acceptable Interactions and Human Augmentation through Vertical Actuation, AUI ’16. Masayuki Izumi, Takashi Miyaki and Jun Rekimoto, Running Gate: 3D Body Motion Analysis with Multiple Depth Sensors, AUI ’16. Yuzu Saijo, Xinlei Zhang and Jun Rekimoto, Flash Word : ESL Listening Support with Subtitle Skimming, AUI ’16. Kana Misawa, Jun Rekimoto. Who Am I Touching? : User Study of Remote Handshaking with a Telepresence Face, ACM HAI ’16. Takashi Miyaki, Jun Rekimoto. LiDARMAN: reprogramming reality with egocentric laser depth scanning, SIGGRAPH ’16: ACM SIGGRAPH 2016 Emerging Technologies. Shunichi Kasahara, Mitsuhito Ando, Kiyoshi Suganuma, Jun Rekimoto. Parallel eyes: exploring human capability and behaviors with paralleled first person view sharing, SIGGRAPH ’16: ACM SIGGRAPH 2016 VR Village. Shunichi Kasahara, Mitsuhito Ando, Kiyoshi Suganuma, and Jun Rekimoto. Parallel Eyes: Exploring Human Capability and Behaviors with Paralleled First Person View Sharing. ACM CHI 2016. 小宮山 凌平, 味八木 崇, 暦本 純一, JackIn Space: 一人称・三人称映像間の連続的な遷移を可能にするテレプレゼンスシステム. インタラクション2016. 門村 亜珠沙, 松田 暁, 暦本 純一. CASPER: 高齢者のための空気砲を用いた遠隔エクササイズシステム. インタラクション2016 (インタラクティブ発表). 張 鑫磊, 味八木 崇, 暦本 純一. WithYou: 音声認識を用いたインタラクティブシャドーイングコーチ. インタラクション2016 (インタラクティブ発表). Azusa Kadomura, Akira Matsuda, and Jun Rekimoto, CASPER: A Haptic Enhanced Telepresence Exercise System for Elderly People. Augmented Human 2016. Fujii, K., Russo, S., Maes, P., and Rekimoto, J., MoveMe: 3D Haptic Support for a Musical Instrument. ACE 2015. Shohei Nagai, Shunichi Kasahara, Jun Rekimoto, LiveSphere: Sharing the Surrounding Visual Environment for Immersive Experience in Remote Collaboration, TEI 2015. 新田慧, 樋口啓太, 田所祐一, 暦本純一, HoverBall: 三次元空間移動が可能なボールを用いたオーグメンテッドスポーツ, インタラクション2015. Shunichi Kasahara, Shohei Nagai, Jun Rekimoto: LiveSphere: Immersive Experience Sharing with 360 degrees Head-mounted Cameras, ACM UIST 2014 demonstration. Yoichi Ochiai, Takayuki Hoshi, Jun Rekimoto: Pixie dust: graphics generated by levitated and animated objects in computational acoustic-potential field. SIGGRAPH 2014 Emerging Technologies. Jun Rekimoto: Traxion: a tactile interaction device with virtual force sensation. SIGGRAPH 2014 Emerging Technologies. Yoichi Ochiai, Takayuki Hoshi, Jun Rekimoto: Pixie dust: graphics generated by levitated and animated objects in computational acoustic-potential field. SIGGRAPH Posters 2014. Kita, Yui, Jun Rekimoto: Digitally Enhanced Utensils: Designing Dynamic Gustation. 16th International Conference on Human-Computer Interaction (HCII2014). Ayaka Sato, Anna Yokokubo, Itiro Siio, Jun Rekimoto: Collaborative Digital Sports Systems that Encourage Exercise, 16th International Conference on Human-Computer Interaction (HCII2014). Jun Rekimoto, Hitomi Tsujita: Inconvenient interactions: an alternative interaction design approach to enrich our daily activities. AVI ’14. M. Emre Karagozler, Ivan Poupyrev, Gary K. Fedder, Yuri Suzuki, Lining Yao, Ryuma Niiyama, Jifei Ou, Sean Follmer, Hiroshi Ishii, John Brosz, Miguel A. Nacenta, Richard Pusch, Sheelagh Carpendale, Christophe Hurter, Jun Rekimoto, Demo hourinteractions, Volume 21 Issue 3, pp. 6-9, 2014. Xiang Li and Jun Rekimoto: SmartVoice: A Presentation Support System For Overcoming the Language Barrier. CHI 2014. Kei Nitta, Keita Higuchi and Jun Rekimoto, HoverBall : Augmented Sports with a Flying Ball, 5th International Conference on Augmented Human(AH 2014). Ayaka Sato, Keita Watanabe and Jun Rekimoto, Shadow Cooking: Situated Guidance for a Fluid Cooking Experience, 16th International Conference on Human-Computer Interaction (HCII2014). Ayaka Sato, Keita Watanabe and Jun Rekimoto, MimiCook: A Cooking Assistant System with Situated Guidance, 8th International Conference on Tangible, Embedded and Embodied Interaction (TEI 2014). Katsuya Fujii Keita Higuchi and Jun Rekimoto., Endless Flyer: A Continuous Flying Drone with Automatic Battery Replacement, UIC 2013. Keita Higuchi, Katsuya Fujii and Jun Rekimoto., Flying Head: A Head-Synchronization Mechanism for Flying Telepresence, ICAT 2013. Yui Kita and Jun Rekimoto, Thermal Visualization on Cooking, ICAT 2013. 李 翔, 暦本 純一 SmartVoice：言語の壁を越えたプレゼンテーションサポーティングシステム, 日本ソフトウェア科学会インタラクティブシステムとソフトウェアに関する研究会（WISS2013), 2013. 暦本 純一, Traxion:仮想力覚提示デバイス 日本ソフトウェア科学会インタラクティブシステムとソフトウェアに関する研究会（WISS2013), 2013. Yoichi Ochiai, Alexis Oyama, Takayuki Hoshi, and Jun Rekimoto: Poppable Display: A Display Which Enables People to Interact with Popping, Breaking, and Tearing, Proc. 2nd 2013 IEEE Global Conference on Consumer Electronics (GCCE 2013), pp. 124-128, 2013. Adiyan Mujibiya, Jun Rekimoto, Mirage: Exploring Interaction Modalities Using Off-Body Static Electric Field Sensing, ACM UIST 2013. Adiyan Mujibiya, Xiang Cao, Desney S. Tan, Shwetak N. Patel, Dan Morris, Jun Rekimoto, The Sound of Touch: On-body Touch and Gesture Sensing Based on Transdermal Ultrasound Propagation ACM ITS 2013, 2013. Hitomi Tsujita, Kensaku Kawauchi, Jun Rekimoto, Vasque: A Privacy Preserving Casual Communication System based on a Circular Mirror Metaphor, Ubicomp 2013 (demonstration). Yoichi Ochiai, Alexis Oyama, Takayuki Hoshi, Jun Rekimoto, Reflective, deformable, colloidal display: a waterfall-based colloidal membrane using focused ultrasonic waves, SIGGRAPH Posters 2013. Ayaka Sato, Keita Watanabe, Michiaki Yasumura, and Jun Rekimoto, suGATALOG: Fashion Coordination System that Supports Users to Choose Everyday Fashion with Clothed Pictures, HCII 2013. Yui Kita, Jun Rekimoto, Spot-Light: Multimodal Projection Mapping on Food, HCII 2013 (poster). Jun Rekimoto, Temporal Phase Shift: Visual Illusion by Phase-Shifted Light Projection and its Applications, HCII 2013 (poster). Yu Ukai and Jun Rekimoto, Swimoid: A Swim Support System using An Underwater Buddy Robot, 4th International Conference on Augmented Human, pp170-177. (AH 2013). Yu Ukai and Jun Rekimoto, Swimoid: Interacting with an Underwater Buddy Robot (Late Breaking Results, Video Paper), International Conference on Human-Robot Interaction (HRI 2013). 樋口 啓太, 暦本 純一, Flying Head: 頭部動作との同期による無人航空機の操作メカニズム, インタラクション2013. Kensaku Kawauchi and Jun Rekimoto, FineMesh: High-Density Sampling Platform Using an Autonomous Robot, The 2012 IEEE International Conference on Cyber, Physical and Social Computing (CPSCom 2012), pp.477-486, Besançon, France, 2012. Yoshio Ishiguro and Jun Rekimoto, GazeCloud: A Thumbnail Extraction Method Using Gaze Log Data for Video Life-Log, 16th International Symposium on Wearable Computing (ISWC), pp.72-75, 2012. Kana Misawa, Yoshio Ishiguro, Jun Rekimoto, LiveMask: A Telepresence Surrogate System with a Face-Shaped Screen for Supporting Nonverbal Communication, Advanced Visual Interfaces (AVI 2012), pp.394–397, 2012. Kana Misawa, Yoshio Ishiguro and Jun Rekimoto, Ma petite chérie : What are you looking at? A Small Telepresence System to Support Remote Collaborative Work for Intimate Communication, The 3rd International Conference on Augmented Human (AH 2012), pp.17:1–17:5, Megeve, France, 2012. 辻田眸，暦本純一, 笑顔は人を幸せにするのか？笑顔促進支援システム , ソフトウェア科学会インタラクティブシステムとソフトウェア(WISS2011), 2011. Hitomi Tsujita and Jun Rekimoto, Smiling Makes Us Happier: Enhancing Positive Mood and Communication with Smile-Encouraging Digital Appliances, Ubicomp 2011, paper, pp.1-10, 2011. Emi Tamaki and Jun Rekimoto, PossessedHand, (demonstration), IEEE World Haptics 2011. Emi Tamaki, Takashi Miyaki and Jun Rekimoto, PossessedHand: Techniques for controlling human hands using electrical muscles stimuli, ACM CHI2011, pp.543-552, paper, May 7-12, 2011[PDF]. Hitomi Tsujita and Jun Rekimoto, HappinessCounter: Smile-Encouraging Appliance to Increase Positive Mood, ACM CHI 2011, 2011. Keita Higuchi, Yoshio Ishiguro and Jun Rekimoto, Flying Eyes: Free-Space Content Creation Using Autonomous Aerial Vehicles, ACM CHI EA 2011, pp.561-570,2011. 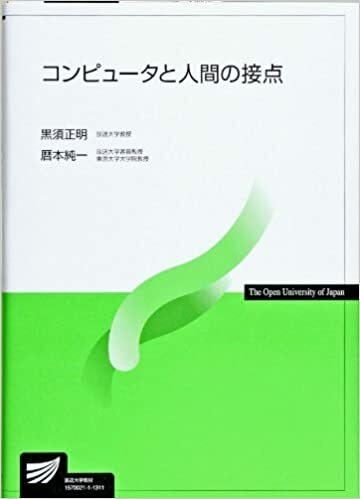 Keita Higuchi, Tetsuro Shimada and Jun Rekimoto, Flying Sports Assistant: External Visual Imagery Representation for Sports Training, The 2nd International Conference on Augmented Human (AH 2011), pp.7:1-7:4,2011. Adiyan Mujibiya, Takashi Miyaki, and Jun Rekimoto, Anywhere Touchtyping: Text Input on Arbitrary Surface Using Depth Sensing, ACM UIST 2010 Poster, 2010. Koh Sueda, Kasushi Kotani, and Jun Rekimoto, Easy-Tagging Cam: Using Social Tagging to Augment Memory, SIGGRAPH 2010 Poster, 2010. Emi Tamaki, Takashi Miyaki, Jun Rekimoto, BrainyHand: A Wearable Computing Device without HMD and It’s Interaction Techniques, AVI2010 demonstration. Kyoko Yonezawa, Masaru Naruoka, Takashi Miyaki, and Jun Rekimoto Cat@Log: Cat Wearable Sensing for Supporting Human-Animal Interaction, Pervasive 2010 video paper, 2010. 玉城絵美, 味八木崇, 暦本純一, PossessedHand: 電気刺激を用いた人体手形状の直接制御システム,情報処理学会インタラクション2010, pp.231-234, 2010. 岩崎健一郎，味八木崇，暦本純一, AffectPhone: 生体情報を利用した電話機型プレゼンス提示装置, 情報処理学会インタラクション2010, 2010. Ken Iwasaki, Takashi Miyaki and Jun Rekimoto, AffectPhone: A Handset Device to Present User’s Emotional State with Warmth/Coolness,BIOSTEC 2010, Workshop on B-Interface, 2010. 川内 見作, 味八木 崇, 暦本 純一, Directional BeaconingによるWiFi室内位置推定, 情報処理学会第５１回プログラミングシンポジウム, pp.149-154, 2010. Koh Sueda, Koji Ishii, Takashi Miyaki and Jun Rekimoto, “Communication Grill/Salon: Hybrid Physical/Digital Artifacts for Stimulating Spontaneous Real World Communication”, HCI International, pp.526-535, 2009. -Emission Information”, The 4th International Symposium on Location and Context Awareness (LoCA 2009), pp.103-119, 2009. Emi Tamaki, Takashi Miyaki, and Jun Rekimoto, “Brainy Hand: An Ear-worn Hand Gesture Interaction Device”, ACM CHI2009 work in progress, pp.4255-4260, 2009. Ken Iwasaki, Takashi Miyaki, and Jun Rekimoto, “Expressive Typing: A New Way to Sense Typing Pressure and Its Applications”, ACM CHI2009 work in progress, pp.4369-4374, 2009. Zoom Japon “Les 50 qui font le Japon de demain“, 2013. JST Science News: 『拡張現実感ARを超えて』, 2012. Instrument of Control : elts of electrodes can control muscles in the forearm to help a beginner play a musical instrument. MIT Technology Review november/december 2011. Michinari Kono. Providing an Experimental Platform for Interfaces that Apply Electricity to the Human Body. 2018. Shunichi Kasahara. Human Augmentation by Inter Personal Communication with First Person Visual Media. 2017. Keita Higuchi. Human Body Mapping and Augmentation for Immersive Telepresence Systems. 2015. Yoichi Ochiai. Graphics by Computational Acoustic Fields. 2015. Xinlei Zhang. Research on Using Speech Recognition for Language Learning Support. 2015. 島田 哲朗. 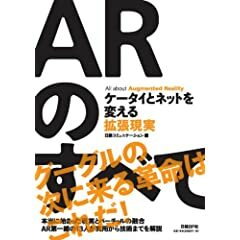 モバイル状況での Augmented Reality インターフェースに関する研究. 2011. 米澤 香子. Human-Animal Interaction のためのウェアラブルセンシングに関する研究. 2009. Adiyan Mujibiya. Synchronized Active Illuminations for Robust Human Hand Gesture Recognition. 2009. 西條 柚. Flash Word: 英語学習者のための短縮英語字幕生成システムに関する研究. 2016.